It’s our Magic 3 – and boy are they magical. 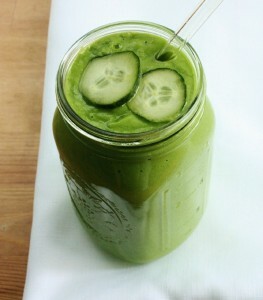 It’s amazing just how much they can change the way our taste buds react to the darker green juice combinations. Even your children will love them, and oh yes, even your reluctant partner in love. 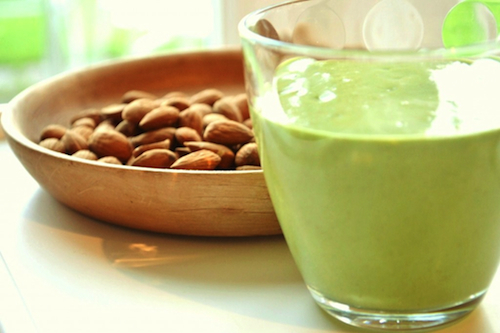 Here is the easiest way to make those dark green juices come alive and taste spectacular! If you use the following leafy and nutritious greens, then our Magic 3 can work magic on the taste. The TOP Greens, nutrition wise, not in any specific order are kale, spinach, parsley, swiss chard, collards, turnip greens, mustard greens, broccoli, green and red romaine lettuces and green and red cabbage. If you leave the peel on the limes and/or lemons, this will make your drink stronger. If your produce is not organic, please never use the skin, but double up on the lime and/or lemons because without the skin, they are not as potent. So, for example, if you are using 1 lime with skin, we say use 2 limes without the peel. One Fruit And No More! We do not recommend adding any other fruit into the green juice combinations because if you add too much fruit, you will mitigate any real value in absorption of nutrients and the drink becomes much less alkaline. The whole idea is to absorb nutrients and to receive the benefits of the high alkalinity from these green juices. That’s why we limit the sweetness to only 10% of the drink. Keep it down to 10% and you’ll be fine, even if you want to add 10% of pineapple as the only sweetener. I don’t recommend it, but if you must, then just do the 10%. 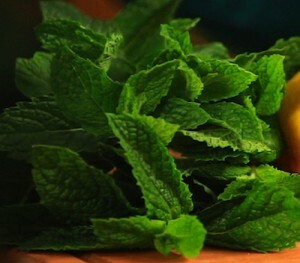 Add as much of the mint into the drinks as you like because they are a leafy herb, rich in nutrients and very low in sugars. Even the limes or lemons can be extended to 20% if you have to in the beginning, to start to train your taste buds to like the green juices. But I am asking you not to add too much fruit. The secret is to add more mint to the drink if you are struggling along with a lime. Did you know freshly juiced leafy greens bring superior quality and quantity to our hemoglobin? This is why people who drink a lot of dark leafy green juices have pure, beautiful white blood cells without any fungus, distortion or toxins in them. If you can make fresh almond milk or any kind of fresh nut or seed milks, did you ever think of adding fresh organic leafy green juices to them? Shelley Young and my wife Linda made this juice together last summer, and according to their viewpoint, this combination brings high alkalinity, protein and super-nutrients to our bloodstream almost instantly. 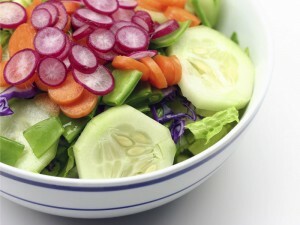 Fresh, dark leafy greens brings in the quality and quantity of our hemoglobin meaning they are excellent blood builders. Combined with the high alkaline almond milk, the natural, heart healthy fats from the almonds make this a super-powerhouse of nutrients. Linda and I make the recipe below frequently after a morning workout because it’s light, but highly sustaining. You won’t be hungry for several hours afterwards. It’s the day before Christmas so naturally we present Jay’s Christmas Cocktail drink. 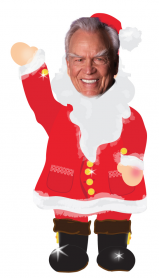 He’s been making this for people at his live seminars for many decades. It’s a crowd pleaser for sure! Deep purple or concord grapes with seeds are best as this makes the drink a deep red color. This was a real treat for those of us at the studio when we shot our latest video. It was a new recipe for us and when Jay finished making the juice and we all tasted it, we went crazy for it. It was one of the best tasting juice recipes ever. It’s simply spearmint, lemon and apples. Besides the great taste, this is a nutritional powerhouse of a drink. First we have Lemon with the skin and the white pulp. Lemons are high in potassium for reduced risk of stroke, offer pectin for controlling cholesterol and of course vitamin C and bioflavonoids for strong blood vessels and eye health. 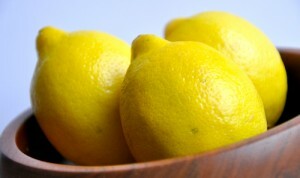 Hesperetin and naringenin are flavonoids in lemons that show anti-inflammatory properties and immune system support. Next up is the Mint. This popular herb has many health benefits. It’s an anti-oxidant with disease preventing properties. It contains the essential oil Menthol, an analgesic, (pain killer) and counter-irritant. 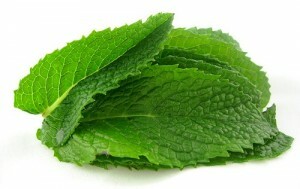 Research has shown mint to relax the intestinal wall and help with irritable bowel syndrome. Finally we come to the apple. Most of us know it’s a great source of total nutrition. 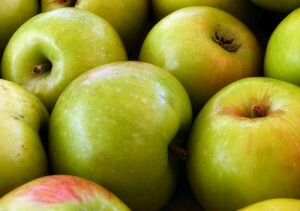 Research conducted at Cornell University has also shown apples may help keep breast cancer away, as well as the doctor. Apples are full of phytonutrients for blood sugar regulation and flavonoids like Quercetin to help break down carbohydrates into simple sugars. They have polyphenols that have been shown to lessen the absorption of glucose from the digestive tract and to stimulate cells in the pancreas to secrete insulin. This increases the uptake of glucose from the blood contributing to better regulation of blood sugar. Do you have BREAKFAST Confusion? My friends, please try to think outside of the box….because I have learned that eating the traditional way of American breakfasts is one of the main reasons WHY we are diabetic in this (ironically) rich Country of ours!! ! I can’t tell you how many people have asked me throughout the years what I recommend for breakfast. There is NO possible way could I possibly eat sugared breakfasts like waffles, pancakes, or even cereal. Eating this old fashioned way will not bring you longevity. Here is what I eat about three times a week…..and the answer may shock you…. I eat Salads for breakfast. Yes, I do. Mix it all together and enjoy! During the Spring/Summertime I usually eat salads three times a week in the mornings and then use the rest of the week to drink green smoothies.When it becomes hotter in the spring/summertime remove so many of the nuts and replace with summertime veggies such as cucumber, celery, jicima, with also adding more spring lettuces. The co-author of The pH Miracle, Dr. Robert Young in an extended 42 minute interview with jaykordich.com, talks about the importance of juicing when starting down the road to health. 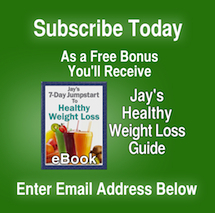 His program advocates alkaline foods to help balance the body against the typical american diet of mostly acid-forming foods. 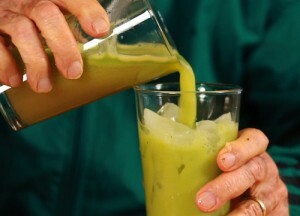 He says drinking fresh juice on a daily basis could be one your most important steps to good health and longevity.